Spybot-search & destroy is the first alternative we offer. The software has become extremely popular over the years. It is updated frequently enough like Malwarebytes Anti-malware, to be armed against threats of all kinds (adware, spyware, keyloggers and other unwanted software). The advantage of Spybot is that its interface has several levels of complexity to allow even novice users to clean their machine easily. This program is probably the closest to Malwarebytes Anti-malware in terms of functionality and detection capabilities. It attacks everything: ransomware, Trojans, adware, bots. 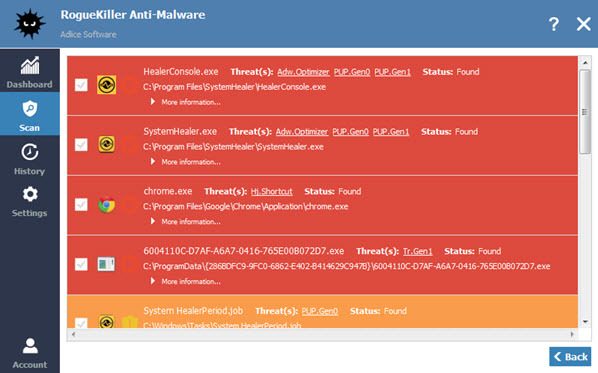 The tool also integrates a real-time protection and behavioral analysis system to optimize malware detection. Emsisoft Anti-malware is not free, but you can use it for 30 days for free. This is undoubtedly a good solution if malware is still squatting on your system even after a Malwarebytes analysis. ADWcleaner is a little less complete than Spybot-Search & destroy, but the software is very efficient. It scans critical areas of your machine to detect and remove potentially malicious software or adware. If ADWCleaner detects multiple programs, you will need to navigate through the program's various tabs (services, folders, dlls, shortcuts, registers, etc.) to check if it is an important file or service and delete it. As you will have understood, you need a minimum of experience in this field to avoid the risk of damaging your machine. 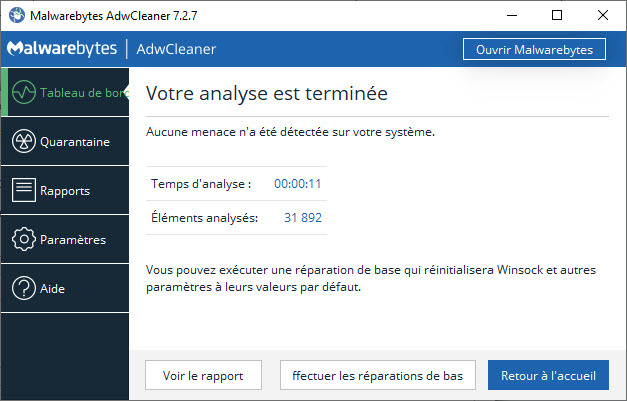 AdwCleaner was bought by Malwarebytes, but is still available in a standalone version. It is no coincidence that Junkware Removal Tool was acquired by Malwarebytes, the publisher of Anti-malware. All you have to do is scour the self-help forums on the Internet to realize that the software is a reference when it comes to removing unwanted programs. It specifically attacks adware and toolbars that invade Google Chrome and Mozilla Firefox. We can say it: it fills some gaps in your favorite Anti-malware. Its interface will discourage some users, but it remains a very effective solution. This anti-malware is one of the essential utilities to keep on a USB key if necessary. Regularly updated and available in a portable version, it is able to detect the most insidious malware hiding in the corners of the system. RogueKiller also has an anti-rootkit system that can annihilate the effect of these malware to remove them more easily. Much lighter than the programs presented above, Adware Removal Tool is, as its name suggests, a tool for removing adware. It is dedicated only to the removal of toolbars that are embedded in your favorite browsers (always the same): Firefox, Internet Explorer and Chrome. A very easy to use solution was used in addition. 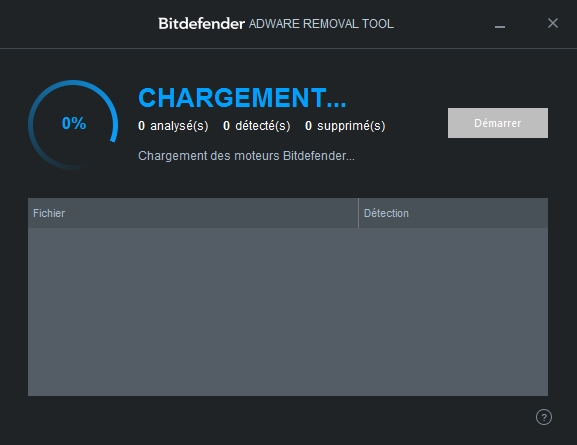 Bitdefender Adware Removal Tool is a free tool designed by one of the best antivirus vendors. Once installed, this utility will suggest that you perform a thorough analysis of your computer to identify adware and remove it. Like most of the software presented here, Bitdefender Adware Removal Tool attacks the very source of the ads that literally ruin your online experience. The tool can also be used to delete keyloggers (software that records everything you type on the keyboard, your passwords, codes...). 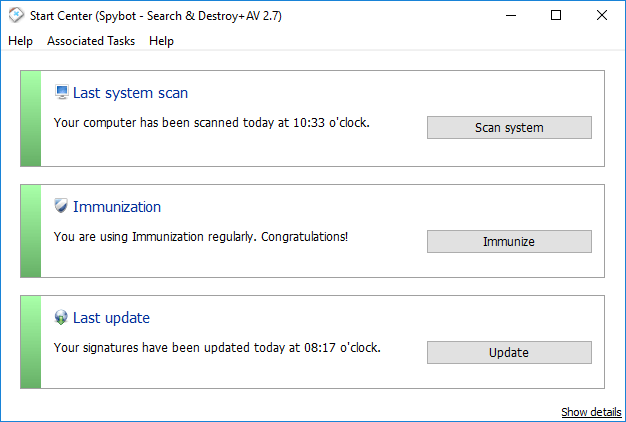 These programs are mostly disinfection software, they will not prevent viruses from infiltrating your computer. As the old saying goes, prevention is better than cure, in this case choosing a good antivirus software that will block malware and adware upstream. However, even antivirus software is not omnipotent, and the applications presented in this article will prove useful in many cases. Leave a comment for	the article What are the alternatives to Malwarebytes Anti-Malware?